It was new comic book day yesterday! What’d everyone get? What got you excited? What didn’t you like? Let us know in the comments! While you decide on that, here’s some comic book news and reviews from around the web in our morning roundup. CBR – OPINION: I Don’t Want an Asian-American Iron Fist – A very good read. Kotaku – Maybe LEGO Avengers Can Live Up To LEGO Marvel Super Heroes After All – We’re expecting the same formula and more fun. Panels – Me, My MedicAlert Bracelet, and Karolina Dean – A very neat read. Women Write About Comics – That Pryde Thing: Finding Myself In Jewish Superheroes – On the fourth night of Hanukkah we got this. The weekend is almost here and we’ll be at the Rose City Comic Con and SPX! That’s right, multiple con coverage all in the same weekend. While you await for that, here’s some news and reviews from around the web in our morning roundup. CBLDF – Google Play Applies Double Standard to Erotica in Comics – Yup. 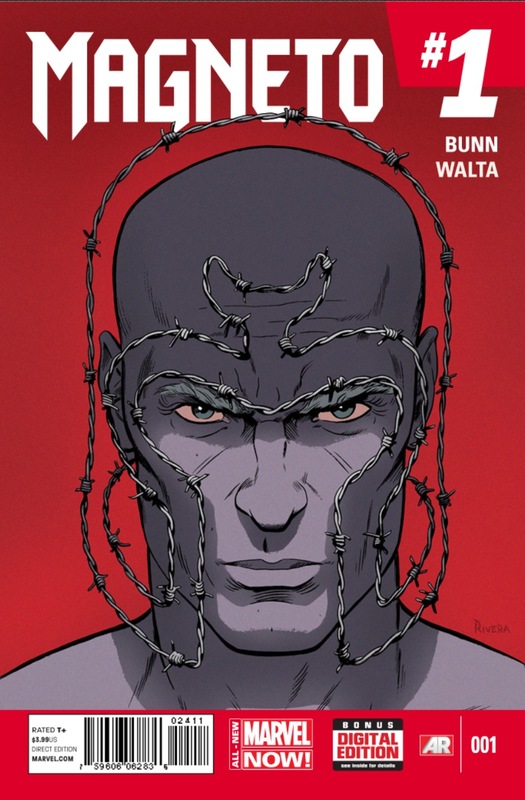 Newsarama – G.I. Joe Creator Looks To Reclaim Ownership From Hasbro – Well this should be interesting. Reading Eagle – Many superhero comic books have historical Jewish roots – Some good history. With Fantastic Four out in the theaters this weekend, and big question I had answered below, I decided to run this post again. Denny‘s is running a tie-in with the upcoming Fantastic Four film and features various dishes with a “theme” pertaining to the character it ties in to. As a whole I’d shrug my shoulders, but the one for The Thing is actually interesting. I’ll ignore the 1920 calories, 1180 of them from fat, the high amount of fat, cholesterol, and sodium. You might be a superhero to survive eating it. For those that might not know, Benjamin Grimm aka The Thing, is one of the more high-profile Jewish characters in the Marvel universe. While he’s not regularly at synagogue in the comics, he has said Jewish prayers in comics and mentioned his religion every so often. Back to the hamburger. It includes the burger, cheddar cheese, bacon, and a cheddar bun, among other things (special “thing” sauce). Pick up on the issue here? Not only does the hamburger include bacon (some Jews don’t eat pork, I do), but it also mixes milk and meat (unless Denny’s is admitting their cheese is anything but). This violate Kosher law which prevents the mixing of the two. In other words, this is a meal a lot of Jews probably wouldn’t eat. The Thing might not keep kosher, stats vary as to how many Jews do (anywhere from 15% to 40%), it definitely is a bit insensitive to his history and background. Definitely a hand. head. slap. moment. Update: So went to see Fantastic Four last night, and in the beginning of the film there’s a Menorah on Ben Grimm’s shelf, so there’s at least one nod he’s Jewish. And check out the genius ad below for this fantasticly offensive meal. For those that might not know, Benjamin Grimm aka The Thing, is one of the more prominent Jewish characters in the Marvel universe. While he’s not regularly at synagogue in the comics, he has said Jewish prayers in comics and mentioned his religion every so often. No Salon. Magneto Should Remain a Holocaust Survivor. On Saturday, Eli Keel posted what looks to be his first article on Salon, “It’s time for Marvel to make Magneto black: Use the coming “Secret Wars” reboot to make X-Men get real about race.” I believe this is the same Keel who has contributed to other sites, and in his first piece for Salon, he shows either a tone deafness to what he asks, lack of understanding of the Civil Rights movement, a lack of understanding of Marvel’s X-Universe, or a mixture of all of the above. It also surprising that Salon would approve such a poorly thought out article. Keel opens his article with the conundrum of time in comic books that originally had characters reflecting or living in “modern” times. And with real-time moving, and characters not aging there is an issue of how do you deal with age and origins in the comic universe. Iron Man for instance originally was injured in Vietnam, but in years that has been updated to the Gulf War, and most recently Afghanistan. This shifting time line has led to inconsistencies and continuity issues. DC Comics has rebooted their universe numerous times, often resolving such issues, while Marvel has had a rather unexplainable sliding time scale. This summer’s Marvel event Secret Wars will hopefully right some of those time paradoxes, resulting in a new “prime” Marvel universe bringing together the various continuities, versions, multiverses, and more into one grand vision that will guide Marvel for the “next 50 to 75 years.” Marvel has said that some things will change and that new characters may take on old mantles for instance X-23 will be the new Wolverine, and there’ll be a new Hulk that is not Bruce Banner. In the past few years Marvel has also found success in changing up the gender or race of characters such as a Jane Foster taking up the role of Thor, a new Ms. Marvel who is a 16-year-old Muslim girl from Jersey, and the Falcon who is now Captain America. Keel begins his article from a false logic point, that comics have been white and cis-gendered throughout their history. Not only is this incorrect, it ignores comics’ rather vast a varied history that is often forgotten or unknown. Female characters have existed since the early days, with many over the years placed out of mind such as Nellie the Nurse, Invisible Scarlet O’Neil, Betty, Veronica, Sheena, Miss Fury, and many more. There’s also comics’ progressive nature including the creation of Captain America who advocated America’s entry into World War II a year before Pearl Harbor, integration of the military in comics before the actual real world military, and creation of characters such as the Black Panther and Luke Cage when African-American and black characters weren’t heard of. In fact comics were the industry that Jews, women, and African-American creators went in to when they were shunned by “mainstream” America. Things haven’t been all rosy, but it’s not all black and white as Keel suggests. It’s time to make Magneto black. Magneto is one of the very few comic characters inextricably tied to a specific real-world event: the Holocaust. His abuse at the hands of Nazis turns him hard and cruel. This real-world event can’t be moved forward in time, and that’s becoming a problem. Keel is requesting for not just erasure of one of the highest profile Jews in comics (a minority more underrepresented in comics than blacks and African-Americans), but also erasure of the Holocaust from mainstream comics as a whole. There’s a tone deafness of the request that is astonishing, but also beyond insensitive to the reality of both the real world and history of the X-Men and X-Universe. The website ComicBookReligion lists 507 out of the 36,389 characters as Jewish. How many can you actually name? How many actually wear their Jewishness regularly and out in the open? Compare that to how many African-American or black characters you can name. Lets begin with the argument of Magneto’s age being an issue. Keel correctly points out his age has been fudged and changed before, and there’s no reason it can’t be done so again. If we de-age Magneto a bit and say he’s 5 or so during the Holocaust (born in 1940 for an easy number), that’d make the character 75 years old today giving him decades more before age is an actual issue. There’s no reason Magneto can’t be 75 or older, and in fact it opens up even more compelling storytelling opportunities. To make a more “comic” like solution, we can say his mutation somehow makes him age slower too for an even easier fix. There is a very real world issue of those who survived the Holocaust dying out and the history being forgotten. Not only by keeping Magneto as a Holocaust survivor do you do a service of serving as an entry point for those to learn about this vile point in human history, but it can also address this very issue. Imagine Magneto reflecting that those that have experienced what he has are dying out, and the world is forgetting the horrors. What would a man do with the power he has when faced with that reality? Imagine a story of him being on his death-bed, and having characters around him reflecting upon his experiences and what it means to lose that first hand knowledge. Today there’s a “cult of Hitler” propping up the genocidal leader as a pop-culture icon, not even 70 years since those last camps were liberated, parts of the world have washed the ghastly horrors away enough to use the visage of a madman to sell products, ideals, and more, turning him into an advertising prop. If that’s not enough of a sign we need for a renewed call to “never forget,” I don’t know what is. But part of what makes Magneto such a great villain is his base in real-world historic tragedy. This is absolutely correct, and his experiences in the death camps have driven his actions to prevent similar tragedy for the mutants of the Marvel universe. It’s not Magneto’s Jewishness that defines him (actually for quite a while it was murky if he was Jewish or Romani), it’s his survival from the Holocaust that defines and drives his character and actions. His hope is to prevent what happened to 6 million individuals repeating for the mutant population. The imagery of the Holocaust has been an aspect that has been used time and time again in Marvel’s “X” comics. In the classic tale Days of Future Past, mutants are rounded up into camps reminiscent to exactly what the Nazis did. There’s constant talk of the eradication of the “mutant threat” in Marvel comics, and it’s going on today quite frequently in the current Secret Wars event. This is something the X-Men have been attempting to fight against, and Magneto proactively through terrorism is trying to prevent. In fact when it comes to the black/African-American experience or the Jewish experience, Marvel’s mutants in their dwindling numbers better reflect the serious issues modern Judaism face, as the religion dwindles in numbers. Currently Jews worldwide account for a little over 6 million individuals, less than 0.1% of the world’s population. There are fewer Jews in the world right now than intersex individuals who are about 1 in 1,000 (not really a point to that, but an astonishing stat I learned). In modern stories the X-universe was faced with dwindling numbers and the very possibility that mutants would become extinct. This issue is something that Jews face today as the numbers of those practicing shrinks and interfaith marriage increases. 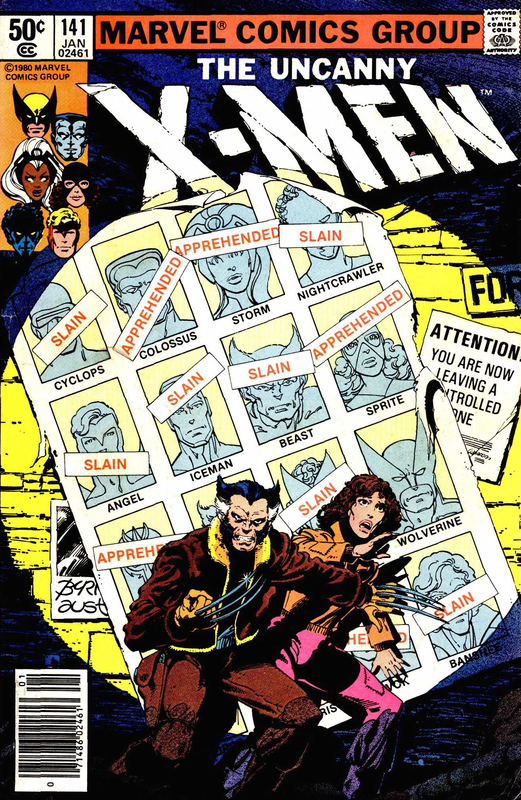 Other recurring stories have had mutants attempting to establish a homeland where they can be safe, but have been besieged over and over again, and recently that very storyline has had almost Zionist tone in a schism that divided the X-Men, a split that does exist within the Jewish people. But most insulting is Kreel’s insistence that any retconning/race-swapping be tied to the Civil Rights movement, ignoring Jewish contributions to the actual Civil Rights movement. Also the Marvel X-Universe today is more reflective of the Gay Rights movement, more so than the Civil Rights. It shows a lack of knowledge about X-History and the real world history. It was in Haifa, Israel that Xavier and Magneto first met as an example. The best fix for Magneto’s origin problem is to reboot him and Professor X into the heart of the Civil Rights Movement. Have them experience the heartbreak of the historic assassinations as young black men. This reboot would be true to the heart of the characters — X-Men began as a metaphor for segregation. In 1963, America couldn’t openly discuss race in comic form, so the conflict was encoded. “Negroes” became “mutants.” Professor X and Magneto are often interpreted as metaphors for Dr. Martin Luther King Jr. and Malcolm X. Having the characters openly admire the historical figures would give Professor X and Magneto the opportunity to argue about the nuances of the their mentors’ philosophies. In other words, they could openly talk about race. After 50 years of coded language, it’s time to get real. The Civil Rights Moment needs to become canon. Personally, I’d have Professor X be a follower of Malcolm X, while Magneto hangs with Dr. Martin Luther King. That way, Prof. X sees Malcolm X gunned down, the tragic results of a movement divided. He tries to choose peace. Magneto watches the death of his pacifist hero Dr. King, and rejects nonviolence. The Jewish contribution to the Civil Rights movement and black history is long and closely entwined. Jews after-all were the original slaves (Egypt) and treated as less than others/full citizens (most of history). The Religious Action Center has a wonderful article laying out Jewish contributions to the Civil Rights movement. That includes helping found the NAACP, the establishment of some black colleges, “Jewish activists represented a disproportionate number of whites involved in the struggle. Jews made up half of the young people who participated in the Mississippi Freedom Summer in 1964.” It was Jews who were murdered attempting to do their part in the Mississippi Burning case. And this support continues today. The Jewish community has continued its support of civil rights laws addressing persistent discrimination in voting, housing and employment against not only women and people of color but also in the gay, lesbian, bisexual and transgender community and the disabled community. Rabbi David Saperstein, director of the Religious Action Center of Reform Judaism, is currently the only non-African-American member of the NAACP board. Keel then suggests the rather non-inspired idea that not only should Magneto and Xavier be black, but they should be involved in the movements of Malcom X and Dr. King, showing insight of the X-Men that should be left in the past, much like some of the non-progressive attitudes that have been shed by the industry in recent times. Today, the X-Universe no longer reflects the Civil Rights movement so much as the Gay Rights movement. A more inspired idea would to embrace that aspect of the characters. Like gays, there has been a theme and outright debate throughout the X history of those that can hide the fact their mutants and those that can’t, reflecting more of the struggle of gays being in the closet and facing discrimination when they come out or can’t hide. In fact, there was real world uproar when writer Rick Remender had mutant and Avenger Unity team leader Havok say he disliked the division and the word “mutant,” and in the comics some responded it was easy for him to say, since he could pass for a normal human. In the 1990s the X-books faced a disease called the Legacy Virus which very much was a not too subtle allegory about the HIV/AIDS epidemic. And, reflecting the Holocaust again, there was real world discussion of placing those afflicted with HIV/AIDS in camps to isolate them, another reason for Magneto’s past to remain unchanged. This is something that has actually been done in Cuba, and political leaders in the US have called for it in the past. While HIV/AIDS isn’t only a gay issue, add in the “coming out” aspect of a mutant’s gift and the mutant story better reflects the LGBT experience. An inspiring and more original twist might have Xavier be bisexual and present at the Stonewall riots or part of the early years of the Gay Men’s Health Crisis. I can’t tell if Keel actually believes his suggestions would lead to compelling storytelling, is oblivious to what his request represents, or he and Salon are trolling for click-bait like rallying articles. No matter, not only is the article poorly thought out, it’s downright insensitive. Admitting you’re a geek is no longer a nail in the coffin for potential candidates. This past election, numerous geeks were re-elected or elected for the first time, including our current Commander-in-Geek who has admitted to collecting Spider-Man and Conan comics and had geeky moments in office. I’m a policy wonk, and I like science fiction. The website includes a detailed guide in how to host your own Battlestar Galactica themed Passover. The idea began for him after a discussion with friends and he looks at it as a way to educate people with a twist. Kallos has a tech background and has built numerous websites including fun ones like this, as well for government and community agencies. I’m hoping to be part of a future where everyone is accepted. Kallos is a shoo-in to win in next month’s election which adds another honorable elected official who’s also a proud geek, one that’ll represent us all well.